Hawaiian ways and traditions have captivated John for as long as he can remember. He had the joy of making several documentary films, including Hawaiian Healing and Pule Wailele, which screened at the HIFF and Maui film festivals in Hawaiʻi and overseas. Other projects include a book,Hawaiian Massage Lomilomi, Sacred Touch of Aloha. 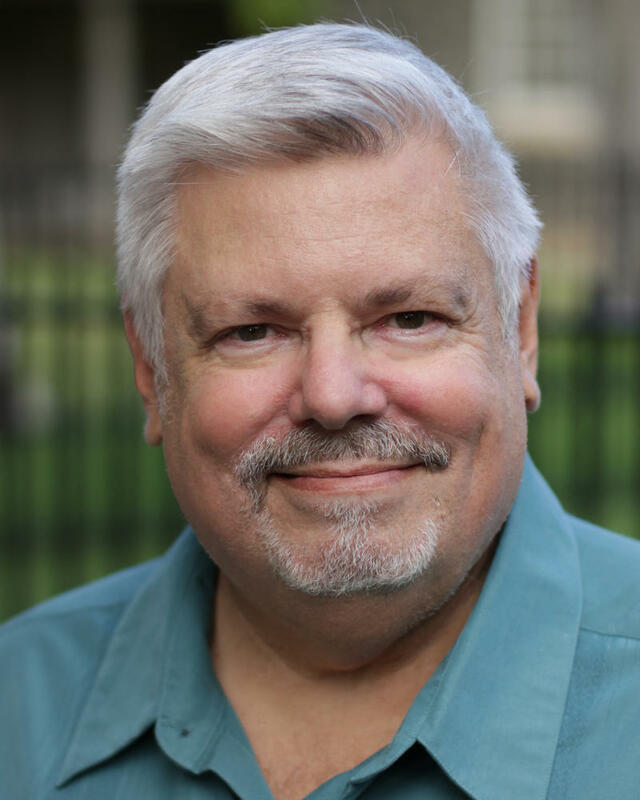 In addition to duties as an on-­air host with Hawaiʻi Public Radio, John is a voice-­over actor, producing and narrating books for Audible.com, among other projects. Past work includes producing and/or directing daytime serials, including The Bold and the Beautiful, One Life to Live, General Hospital and The Young and the Restless. John has received 7 national Emmy nominations, an Emmy Award, and was nominated for a Directors Guild of America Award. He is a member of the Hawaiian Historical Society and the Kailua Hawaiian Civic Club. Zak is also an avid photographer. He loves all forms of music, from Hawaiian, to classical, to Brazilian jazz, to Bulgarian folksongs. 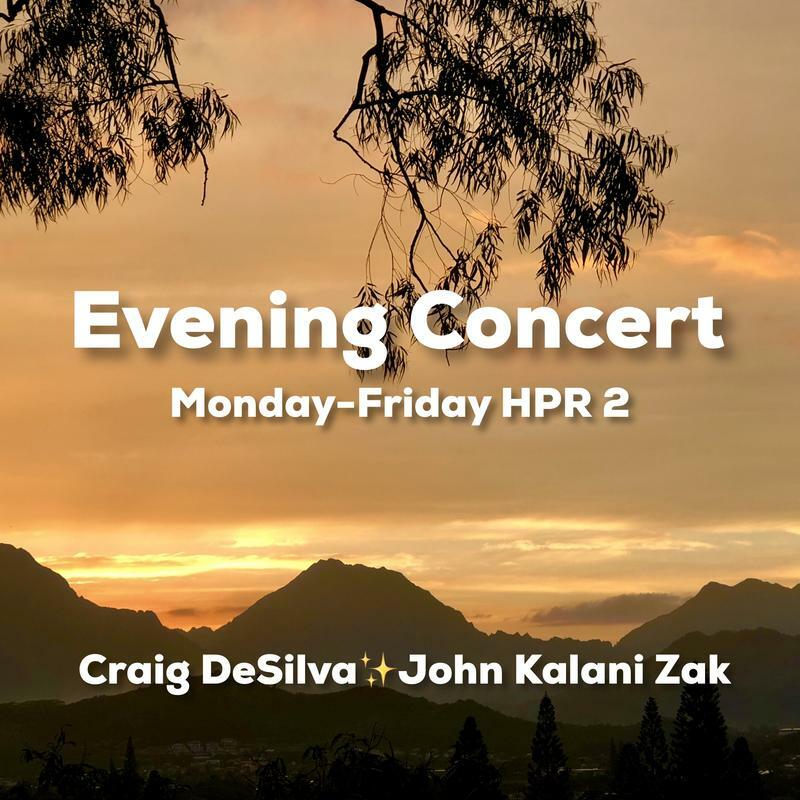 "Joseph Stepec, Director of Orchestras at the University of Hawaii at Mānoa, talks with Evening Concert host, John Zak, about a May 2nd, 2018 performance of the University of Hawaii Symphony Orchestra at the Blaisdell Concert Hall. Stepec also shares thoughts about the future of classical music and muses on the universal elements that captivate and enthrall listeners and musical artists in equal measure. 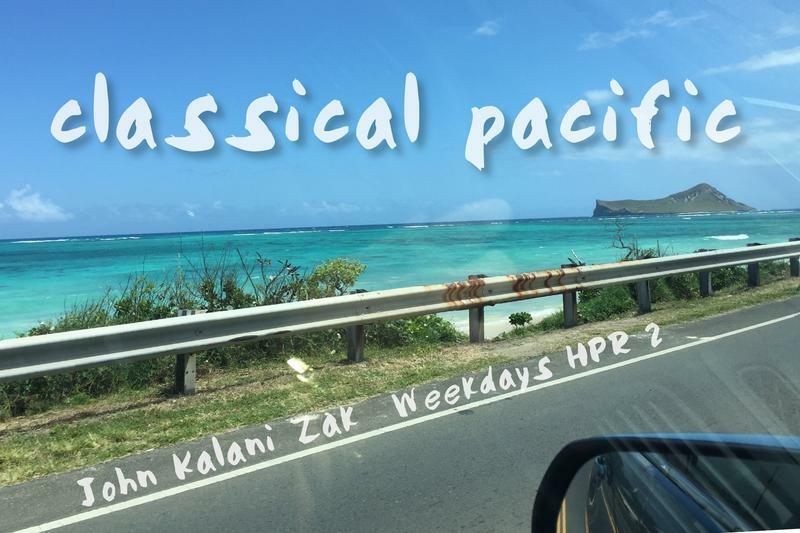 HPR Classical Music Host, John Zak talks story with guitarist, Ian O'Sullivan, and violinist, Wu Hung, about Chamber Music Hawaii's concerts that explore Tango music by Astor Piazzola. Both musicians discuss their early influences and inspirations including ice cream truck jingles and vintage LP's. Louise King Lanzilotti and John Zak explore the world of orchestral brass instruments. Welcome to Classical Pacific for December 15th, 2017. I’m your host, John Zak. 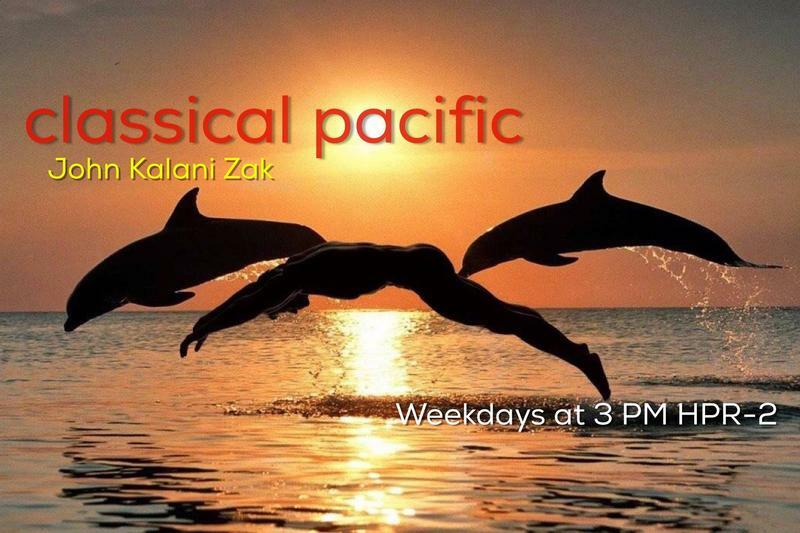 In today’s episode of Classical Pacific, we’ll hear music of Tchaikovsky, Mendelssohn, Brahms, Ravel, and Lauridsen. 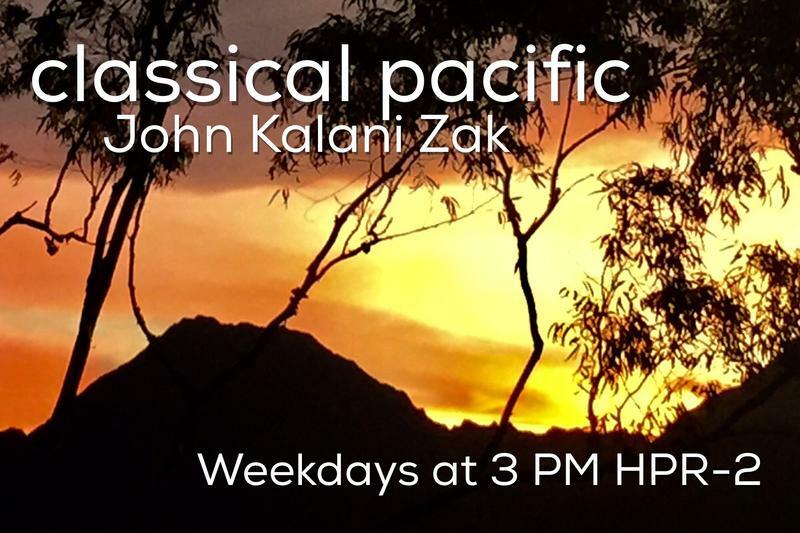 Today is my final day hosting Classical Pacific. It was not a simple decision for me to decide to move on from a program I helped to bring into this world but, the creative muse calls, and I am optimistic for the future, both in terms of the ongoing health of Classical Pacific, and in terms of other projects that are on my horizon. Welcome to Classical Pacific for December 14th, 2017. I’m your host, John Zak. 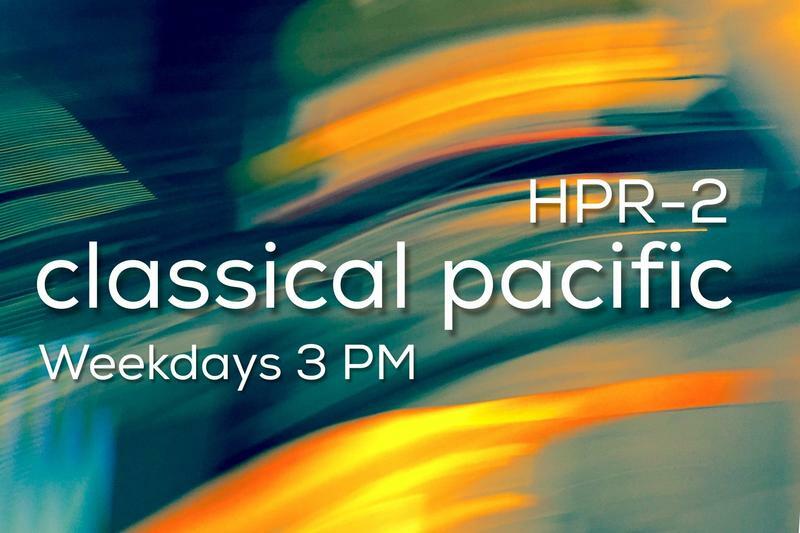 In today’s episode of Classical Pacific, we’ll hear music of Schubert, Fauré, Rogers and Hammerstein, Delius, Liszt, and Albéniz. Welcome to Classical Pacific for December 13th, 2017. I’m your host, John Zak. 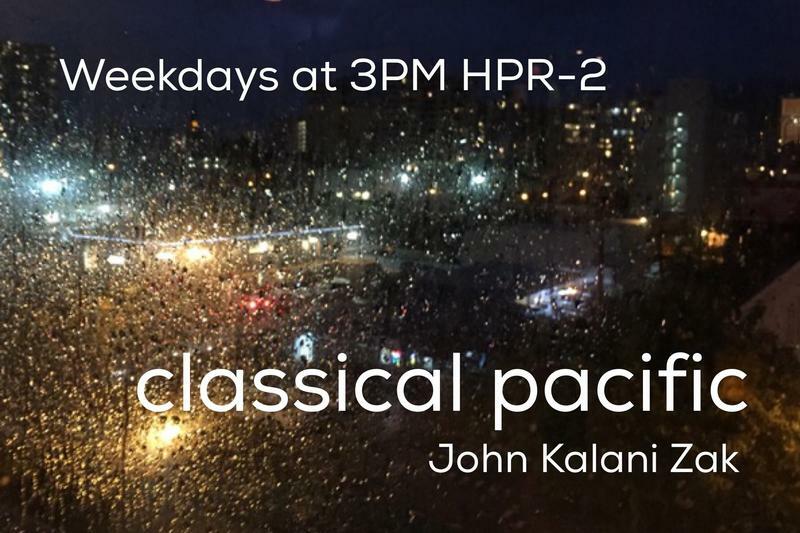 In today’s episode of Classical Pacific, we’ll hear music of Sibelius, Johann Strauss, Jr, Rodrigo, Rachmaninoff, Morricone, Lauridsen, and Jeff Peterson. Welcome to Classical Pacific for December 12, 2017. I’m your host, John Zak. 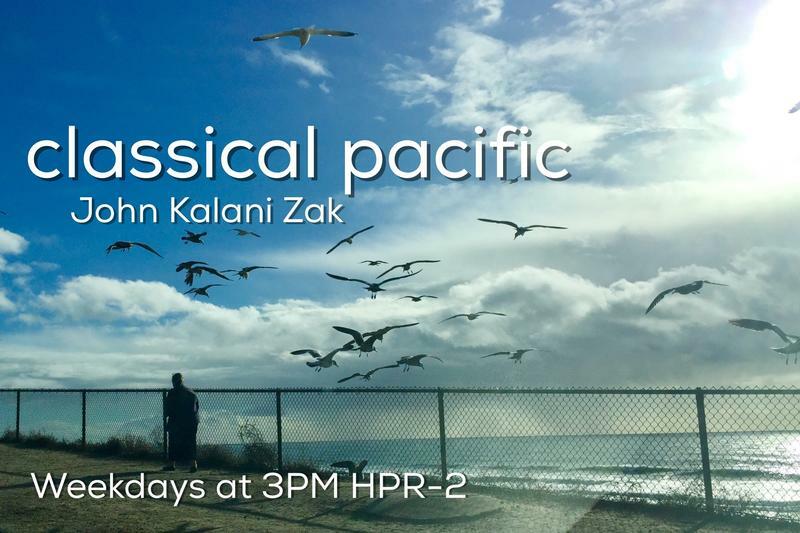 In today’s episode of Classical Pacific, we’ll hear music of Shostakovich, Debussy, Chopin, Sibelius, Respighi, Elgar, and Rachmaninoff. And, be sure to stay tuned for Evening Concerto at 6:06 PM when Craig DeSilva shares music inspired by his recent visit to Spain! 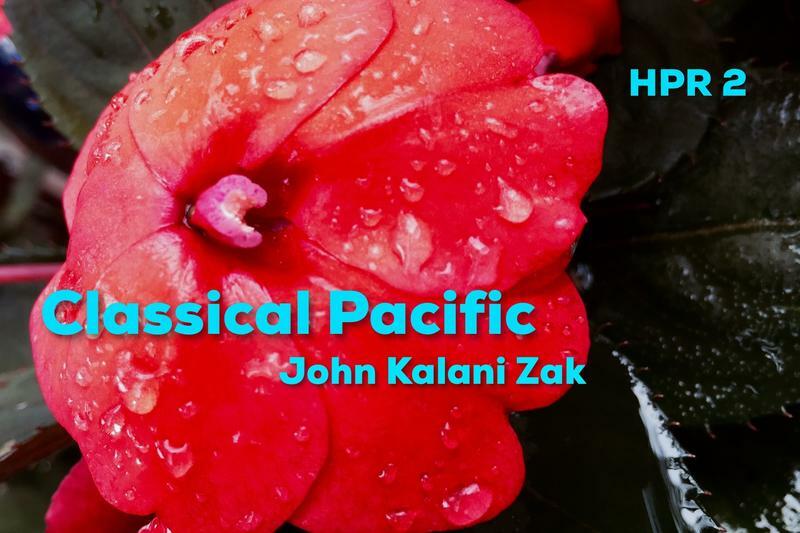 Welcome to Classical Pacific for December 11, 2017. I’m your host. John Zak. It was a wonderful weekend of music with the Hawaii Symphony Orchestra.....Amy Hanaiali’i on Saturday, and Jeff Peterson on Sunday with his brilliant composition for Slack Key Guitar and Orchestra. Both concerts brought down the house. Ode to Joy is coming up later in the month....get your tickets quick! 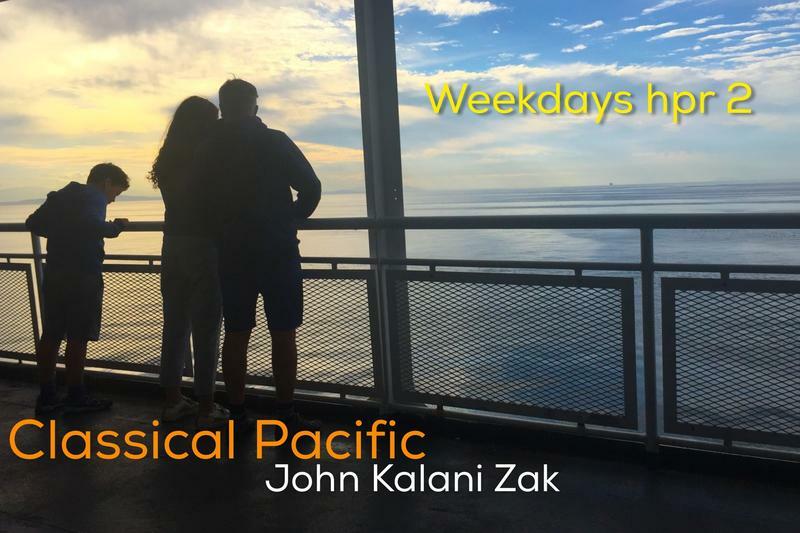 Welcome to Classical Pacific for December 8, 2017. I’m your host, John Zak. 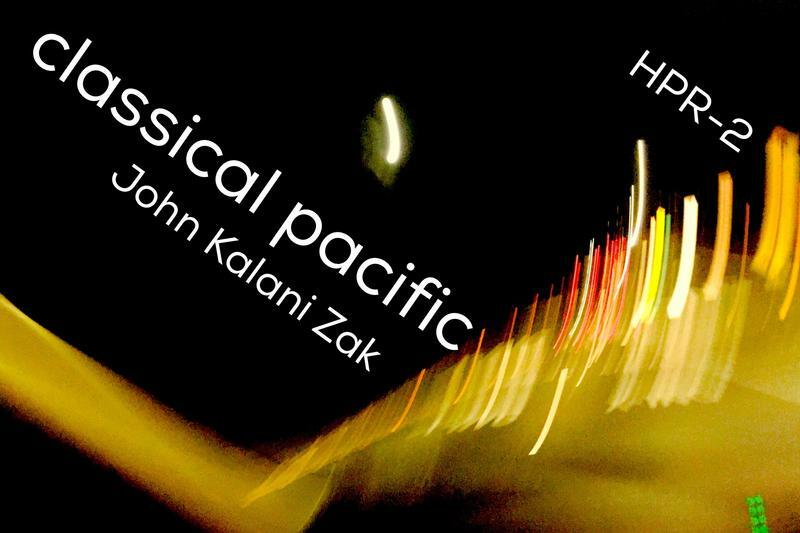 Welcome to Classical Pacific for December 7, 2017. I’m your host. John Zak. In today’s broadcast, we’ll celebrate the inner child in all of us with a performance of “Carnival of the Animals” by Camille Saint-Saëns.....see if you can guess which animals are represented in each piece of music. We’ll also hear music of Stravinsky, Danzi, Beethoven, Haydn, as well as a beautiful selection from Lux Aeterna by Morten Lauridsen. 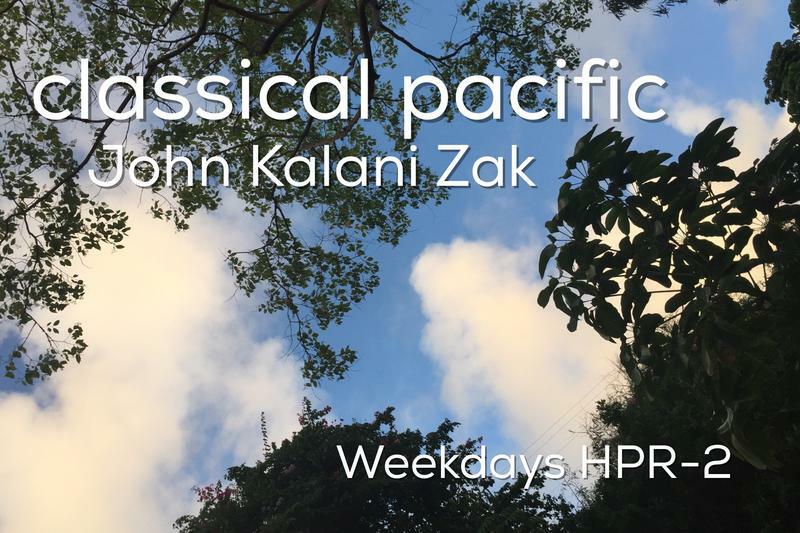 Welcome to Classical Pacific for December 4, 2017. I’m your host. John Zak. We’re sending our sincere thanks to each of you who heard the clarion call on Giving Tuesday to become members of HPR and an additional mahalo nui to those of you who increased your gift to keep HPR going strong. We really appreciate you and listen for your name on the air! 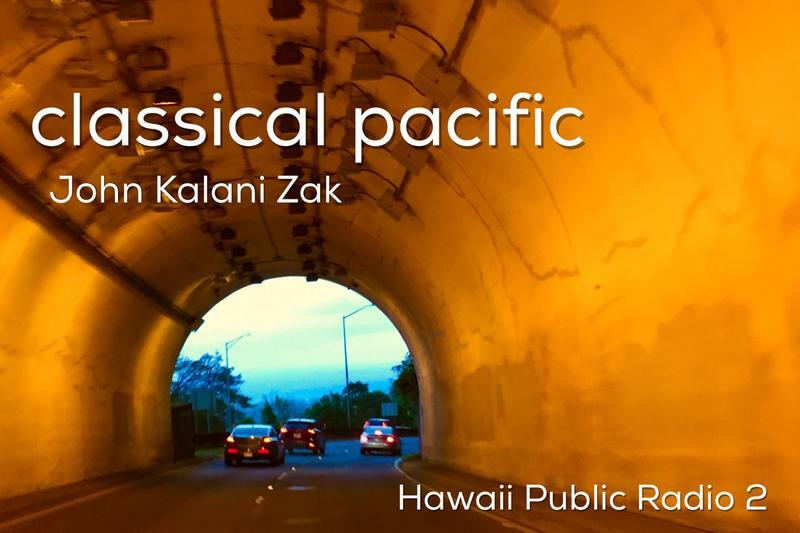 Welcome to Classical Pacific for December 1, 2017. I’m your host. John Zak. We’re sending our sincere thanks to each of you who heard the clarion call on Giving Tuesday to become members of HPR and an additional mahalo nui to those of you who increased your gift to keep HPR going strong. We really appreciate you and listen for your name on the air! Welcome to Classical Pacific for November 30th, 2017. I’m your host. John Zak. We’re sending our sincere thanks to each of you who heard the clarion call on Giving Tuesday to become members of HPR and we send an additional mahalo nui to those of you who increased your gift to keep HPR going strong. We really appreciate you. Listen for your name on the air! In today’s broadcast we will hear music of Delius, Coates, O’Sullivan, Barber, Gershwin, Brahms, and Yoshiki. Welcome to Classical Pacific for November 29th, 2017. I’m your host. John Zak. I am calling today, "Mahalo Wednesday." We at HPR are sending our sincere thanks to each of you who heard the clarion call to become members of HPR and to those of you who increased your gift to keep HPR going strong. We really appreciate you! Listen for your name on the air! Welcome to Classical Pacific for November 27th, 2017. I hope you had a wonderful Thanksgiving weekend. I’m your host John Zak. 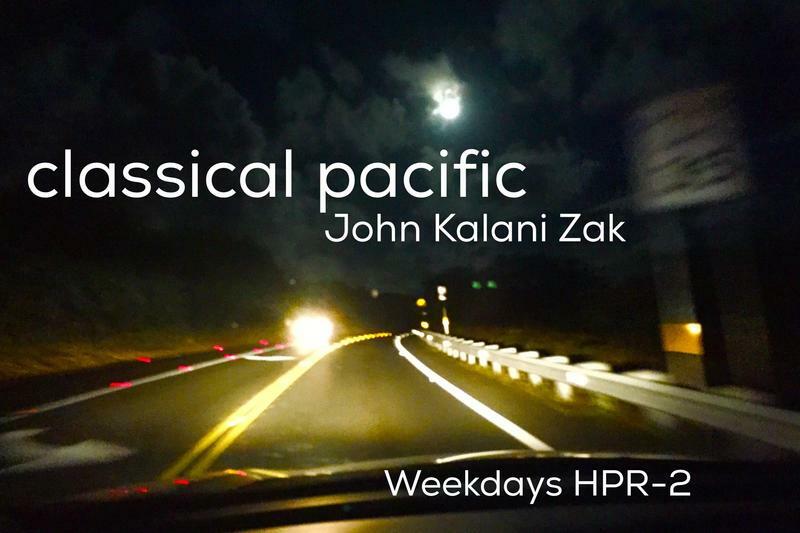 Part of my Thanksgiving Day was spent right here at HPR and it was a pleasure to share music with you for your holiday enjoyment. Today, we will hear music of Dvorak, Shoenfield, Rossini, Antheil, Britten, and Scarlatti/Tommasini. Welcome to Classical Pacific for November 24th, 2017. Welcome to Classical Pacific for Thanksgiving Day, 2017. I’m your host, John Zak. The holidays are here and pumpkin pies kept popping up in the HPR kitchen all week... Christmas goodies will soon follow! As you enjoy your holiday, we will serenade you with music of Bruch, Copland, Elgar, Haydn, Chabrier, Chopin, and Prokifiev....a cornucopia of beautiful music, for which we are all very thankful...I'll also share some highly quotable quotes on gratitude. we will serenade you with music of Massenet, Rachmaninov, Krommer, Torroba, Franck, and a beautiful selection from Lux Aeterna, by Lauridsen. Welcome to Classical Pacific for Tuesday, November 21st, 2017. The holidays are looming large and pumpkin pies are already appearing in the HPR kitchen (but not for long)......and Christmas goodies will soon follow! Today, we have music of Mozart, Finzi, Gounod, Bizet, Chopin, Szymanowski, Prokofiev, and Ryuichi Sakamoto. Welcome to Classical Pacific for Monday, November 20th, 2017. The holidays are looming large and pumpkin pies are already appearing in the HPR kitchen (but not for long)......and Christmas goodies will soon follow! Today, we have music by Glazunov, Barber, Jeff Peterson, Offenbach, Gershwin (with an arrangement by Bennett) and Fauré. Welcome to Classical Pacific for Friday, November 17th, 2017. The holidays are looming large and pumpkin pies are already appearing in the HPR kitchen (but not for long.) Christmas goodies will soon follow! 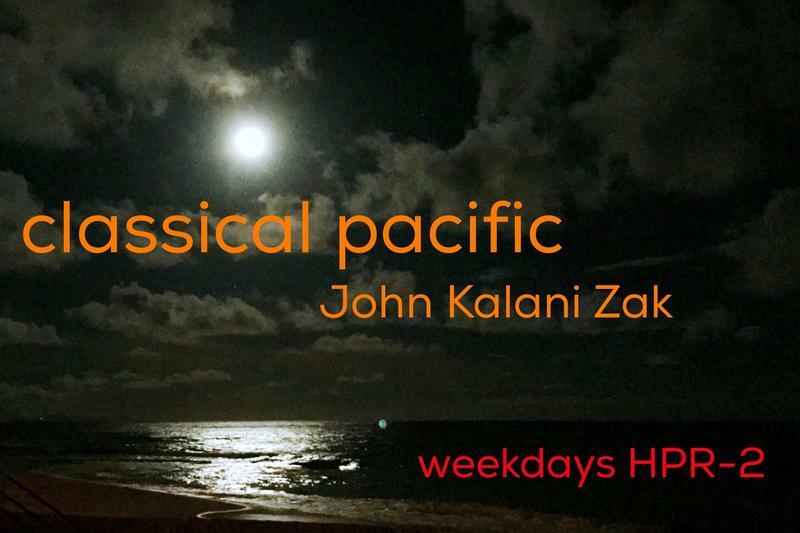 Aloha pumehana, I’m John Kalani Zak, host of Classical Pacific on HPR 2, your home for classical music. Thank you to each and every one of you who pledged your support to Hawaii Public Radio, You are our heroes and heroines. We pledge to continue to give you the best programming and the finest music possible! In today’s journey, we’ll hear music of Mozart, Tchaikovsky, Delius, Sibelius, Richard Strauss, and Ravel. 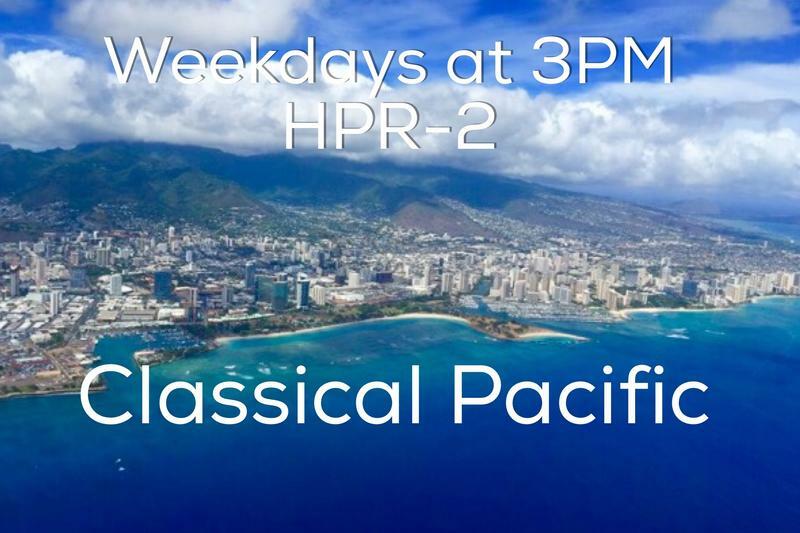 Classical Pacific airs Monday through Friday at 3 PM Hawaii time on HPR 2, your home for classical music! In today’s journey, we’ll hear music of Borodin, Gomes, Leonard Bernstein, Debussy, Massenet, and Rogers and Hammerstein. 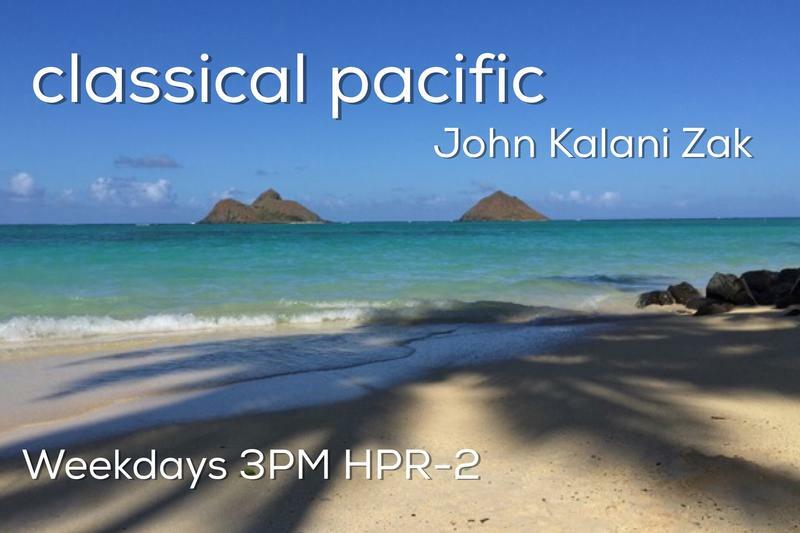 In today’s “Aloha Friday” journey of Classical Pacific, we’ll hear music of Grieg, Richard and Siegfried Wagner, De Bréville, Rota, Mozart, Milhaud, and Stravinsky.